discrete Document Management Systems (DMS). The number of documents kept growing over several years, amplifying the problem of managing and securing the intellectual property. 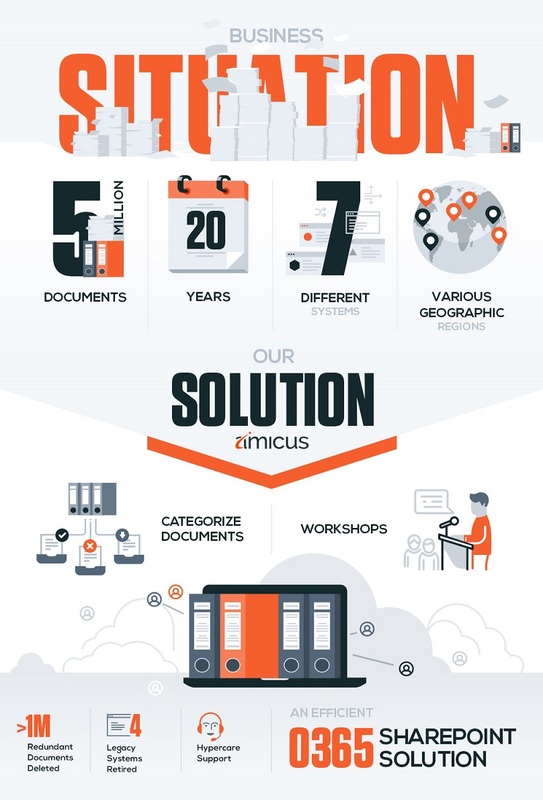 Amicus promised and delivered a cutting-edge Document Management solution that was not only structured and accessible but at the same time secure and reliable. This solution led to a standardized and methodological approach of managing and accessing documentation followed by company employees globally. A Globally Integrated Product Development and Manufacturing Company had diverse Document Management Systems which were compound and legacy. These DMS stored documents from crucial departments such as R&D, Sales, Legal, Marketing, HR, Finance etc. The company was undergoing a divesture of certain of their product lines to streamline their operations. This required the intellectual assets to be split based on the data ownership. The above necessitated a solution comprising of splitting the DMS along with documents, users and permissions; filtration of documents and decommissioning of legacy systems. The old Systems were out of support and not versatile enough to sustain the requirement of the business and users. Business wanted a solution to replace the legacy and heterogeneous systems. 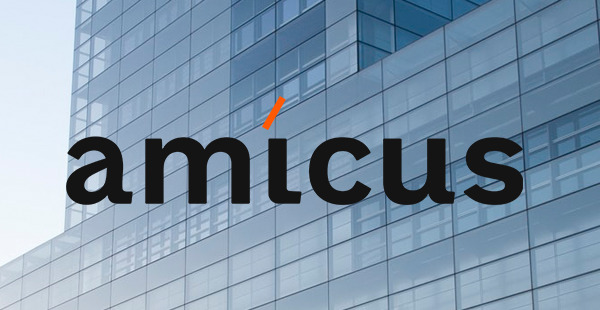 The company reached out to Amicus to provide a centralized platform to store and manage their extensive documentation in a secure, easy to use and organized DMS system with documents owned by each company. There were more than 5 million documents accumulated over past 20 years, hosted in 7 different systems that were spread across various geographical regions. It was a huge challenge to identify and tag each document with appropriate disposition and destination. The varied DMS were heterogeneous and complex; this required understanding the functionality of each DMS prior to their management. One of the biggest challenges was to coordinate with several business teams, in different time zones and languages, to determine the appropriate owner for each document and the data within. Identifying the primary owner was a challenge due to personnel changes over the years. Limited vendor support, distinctive design and unique extraction and migration method of each system were some of the other issues in this project. Designing a homogeneous and scalable architecture to accommodate the varied document types and governance needs was another challenge. Upon analysing the business situation we saw an opportunity to consolidate various redundant and obsolete documents spread across multiple systems as well as streamline the business processes used by different regions. In order to ensure minimal impact on the business and Users, Data Split and Migration was planned and executed meticulously. Workshops were conducted with key business users to tag and categorize documents as control, information only, archive or delete based on their current significance to business. The team came up with an iterative process to extract, convert, consolidate and archive documents. These documents were then organized within the DMS with appropriate user permissions. Deleted documents were maintained as per the file retention policy to meet all the legal and regulatory compliance requirements. Amicus helped client with change management and provided user training for the enhanced DMS system. Hypercare support was provided for system stabilization.